The MAX481, MAX483, MAX485, MAX487–MAX491, and MAX1487 are low-power transceivers for RS-485 and RS-422 communication. Each part contains one driver and one receiver. The MAX483, MAX487, MAX488, and MAX489 feature reduced slew-rate drivers that minimize EMI and reduce reflections caused by improperly terminated cables, thus allowing error-free data transmission up to 250kbps. The driver slew rates of the MAX481, MAX485, MAX490, MAX491, and MAX1487 are not limited, allowing them to transmit up to 2.5Mbps. 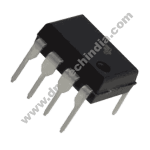 These transceivers draw between 120µA and 500µA of supply current when unloaded or fully loaded with disabled drivers. 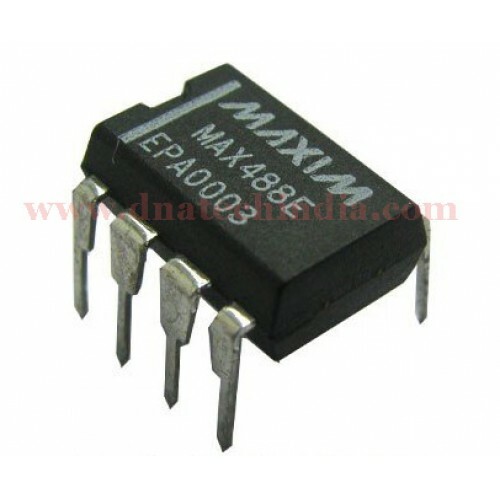 Additionally, the MAX481, MAX483, and MAX487 have a low-current shutdown mode in which they consume only 0.1µA. All parts operate from a single 5V supply. Drivers are short-circuit current limited and are protected against excessive power dissipation by thermal shutdown circuitry that places the driver outputs into a high-impedance state. The receiver input has a fail-safe feature that guarantees a logic-high output if the input is open circuit. The MAX487 and MAX1487 feature quarter-unit-load receiver input impedance, allowing up to 128 MAX487/MAX1487 transceivers on the bus. Full-duplex communications are obtained using the MAX488–MAX491, while the MAX481, MAX483, MAX485, MAX487, and MAX1487 are designed for half-duplex applications.